CRG is Front Page News! 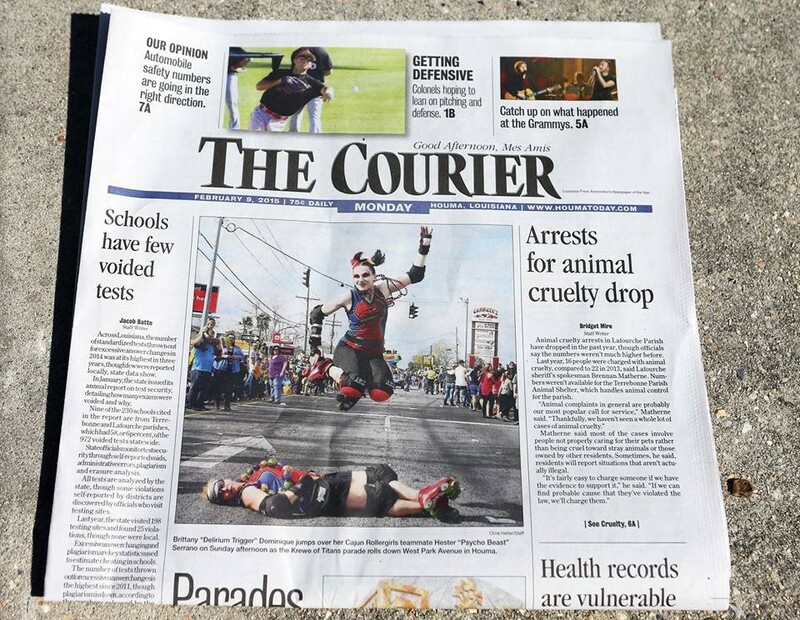 Well, look who wound up on the front page of today’s Houma Courier! Thanks so much to our friend Chris Heller for the awesome pictures from the Krewe of Titans parade yesterday! CRG in the Krewe of Titans Parade Today! CRG vs. NOLA Brass on Feb. 21! Get your tickets TODAY!